Join the conversation as the Sounders take on the Galaxy in the teams' first competitive meaning since the 2014 Western Conference finals. Chat goes live a few minutes prior to the 4 p.m. PST kickoff. 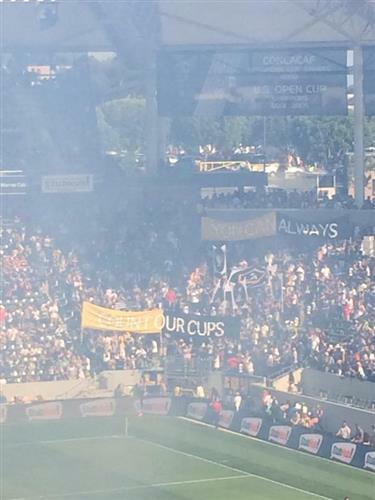 LA with a smaller backup tifo after its first one ripped in half. Nice touch. Yourrrrr @SoundersFC going right to left in those STUNNING Rave Green kits with blue socks. Just amazing. 1’ - It’s gooooo time! 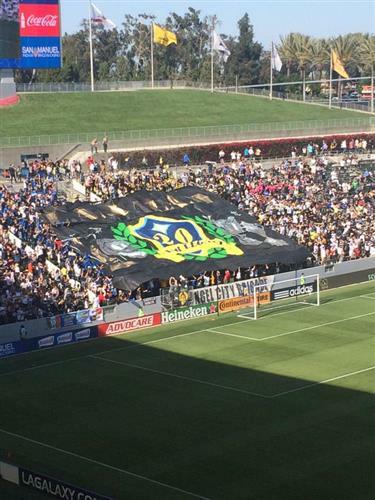 @LAGalaxy kicks off and #LAvSEA is off and running. COME ON, SEATTLE! 1’ - Good early header there by Dylan Remick to cut out the Gonzalez ball that came in over the top. Then Frei picks up a cross. Tidy. 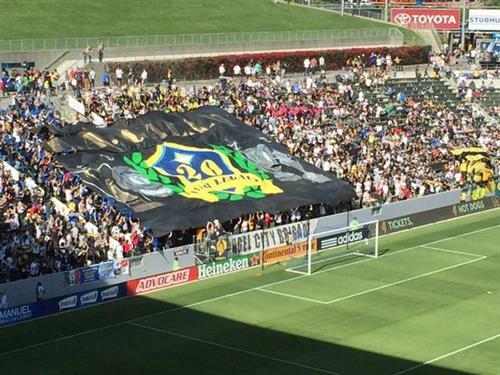 The @ACBrigade's pregame streamers are back. 3’ - This ball comes in and is a wee bit too long and goes out for a throw on the far side. Ok then. 3’ - Ball back in the Sounders end. Cross comes in from Rogers, bounces around and Ishizaki’s shot is hoofed in and out for a corner. 3' Alan Gordon goes down after taking a Stefan Ishizaki shot to the head. He walks off but is back on moments later. 4’ - Comes in short and Ozzie clears it on out of there. 5’ - Galaxy pressing again as Ishizaki moves in on Remick who blocks the cross out for a corner. 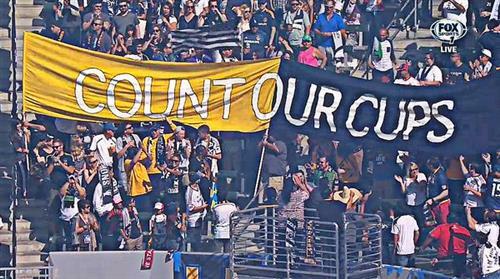 First time since 2009 there has been such a pollution-free game in LA. 6’ - This corner comes in and Frei takes easily and gets the Sounders moving up the pitch on the break. Slowed up though. …just kidding. You can never have too many tacos. 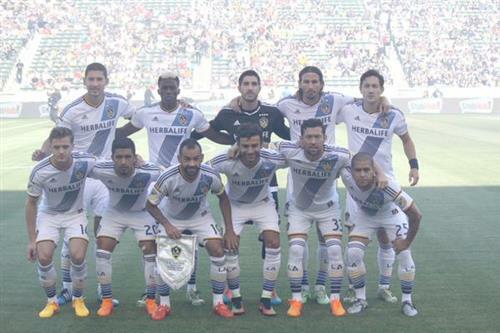 Is this the most handsome starting XI in @MLS? 7’ - Huge tackle there by Juninho as Oba looked to break into the box. Measured stuff to keep the Nigerian from a shooting chance. 8’ - Oba doing that dropping into the midfield thing to get the ball. HE LOVES THAT BALL. 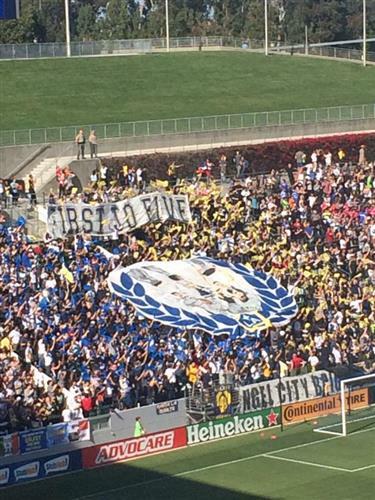 8’ - Sounders with some decent time in the Galaxy end on the far side of the pitch. Lamar holding things up well. Looking for that ball in. 9’ - More great work from Lamar! First he gets into the box and puts in a cross. Ball played in and Lamar SAVED BY PENEDO! WOW. 10’ - AND OFF THE LINE! Corner comes in from Pappa and Neagle JUST can’t turn it in after the header by Oba is saved. Wow.